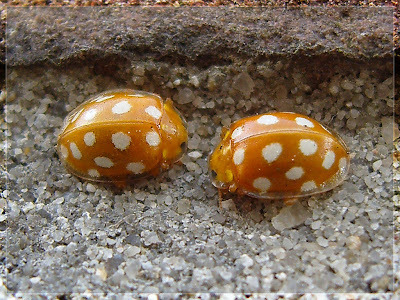 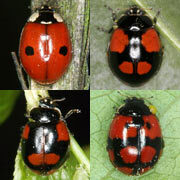 The Coccinellidae are a family of small beetles, ranging from 1 to 10 mm (0.04 to 0.4 inches). 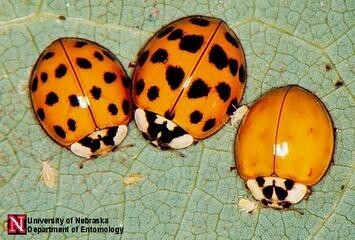 They are commonly yellow, orange, or scarlet with small black spots on their wing covers, with black legs, heads and antennae. 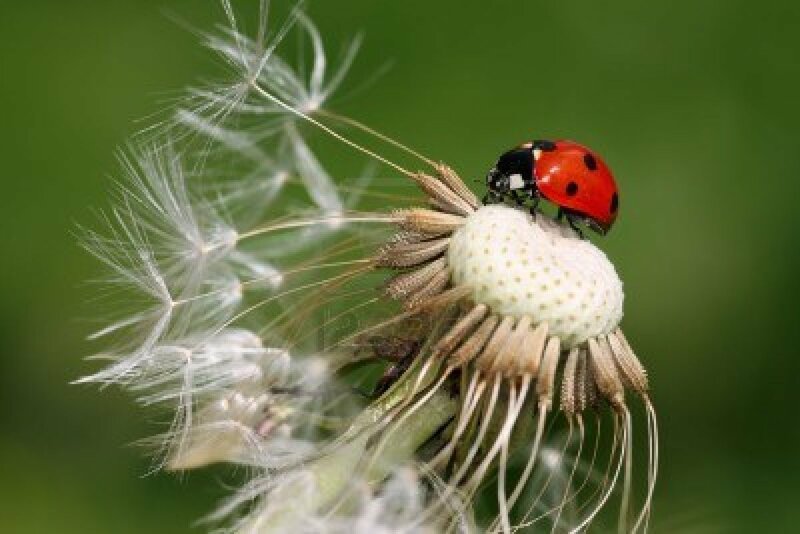 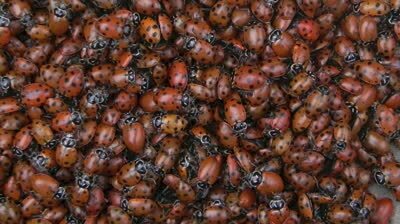 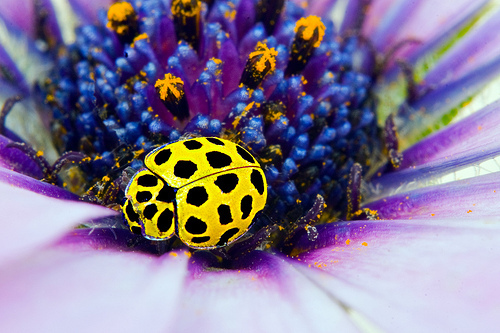 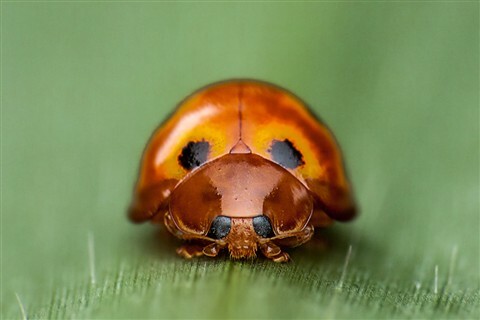 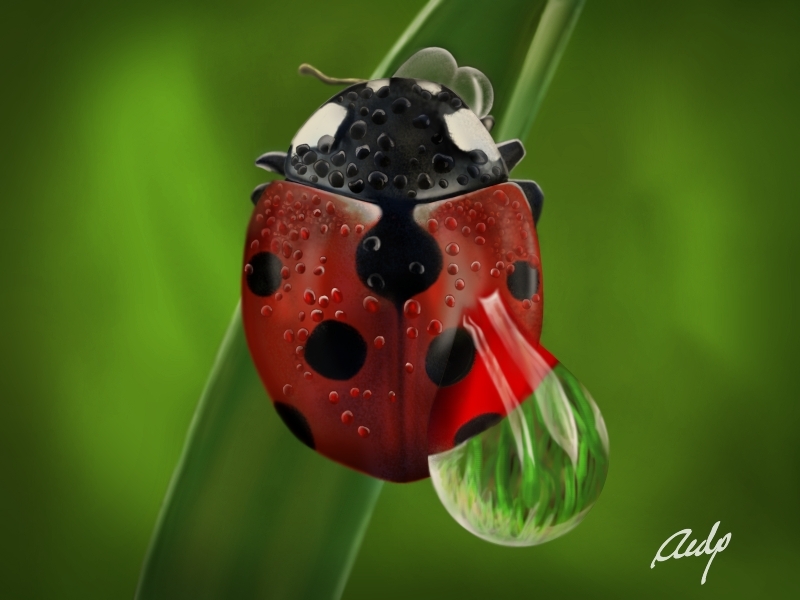 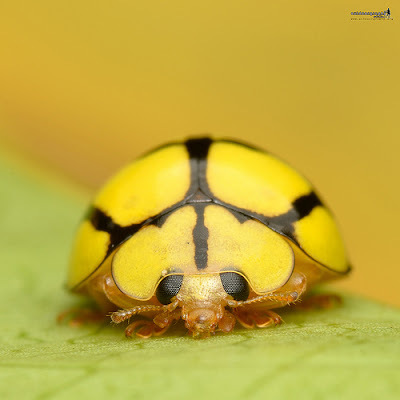 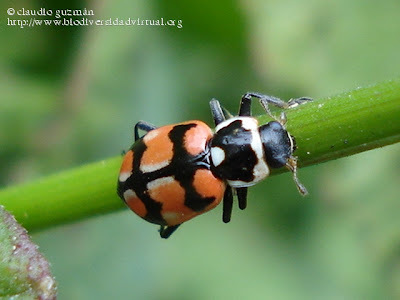 Coccinellidae are known colloquially as ladybirds (in Britain, Ireland and the Commonwealth), ladybugs (originating in North America) or lady cows, among other names. 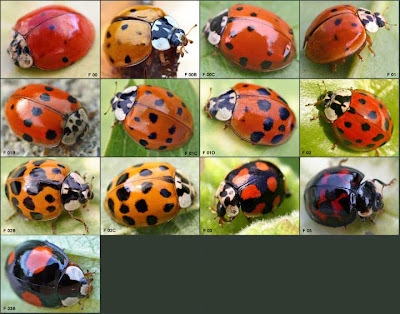 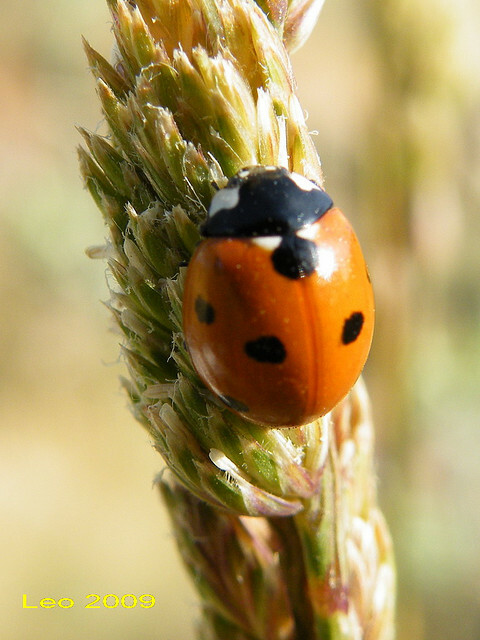 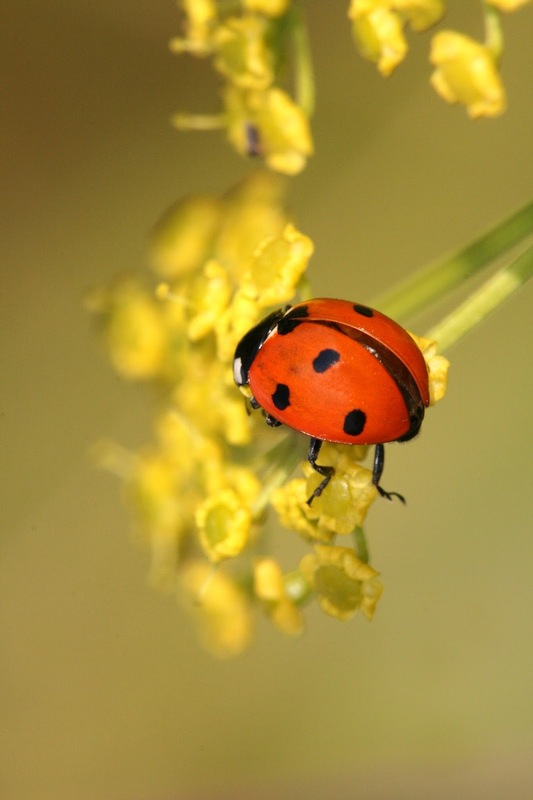 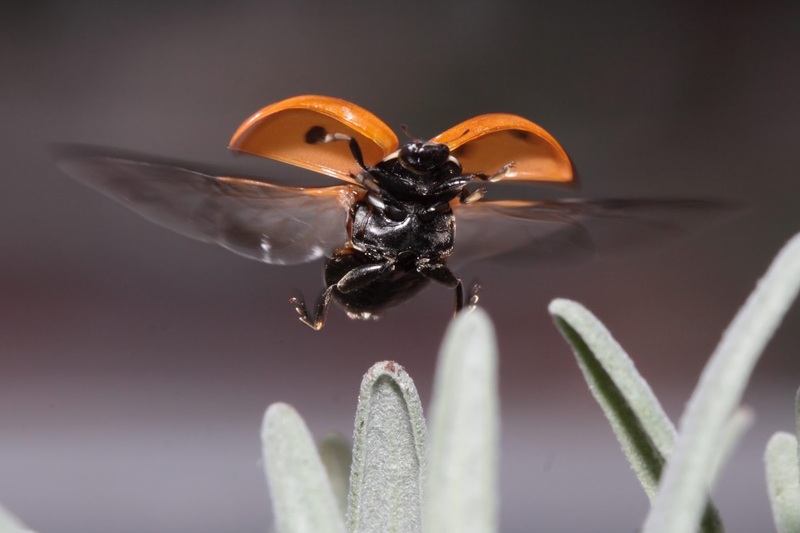 When they need to use a common name, entomologists widely prefer the names ladybird beetles or lady beetles as these insects are not true bugs. 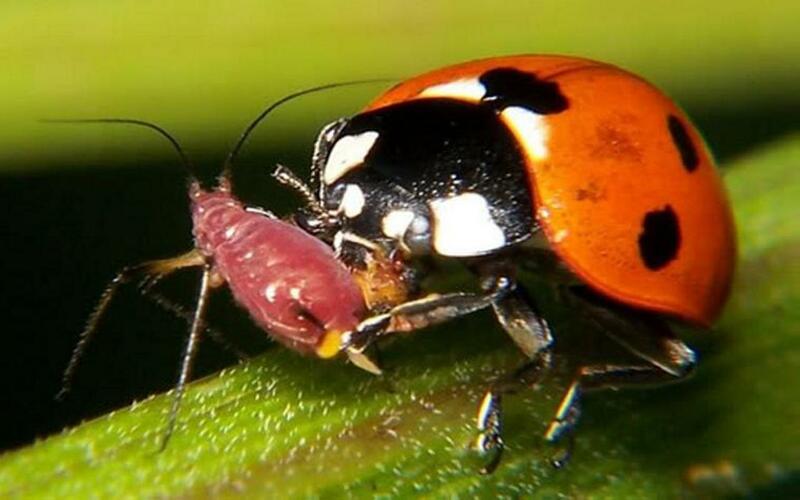 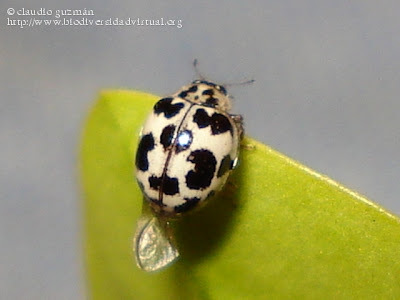 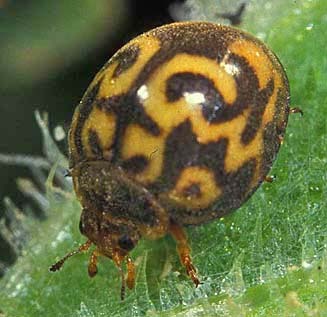 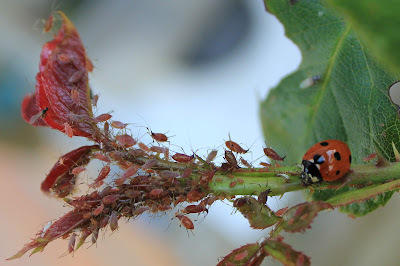 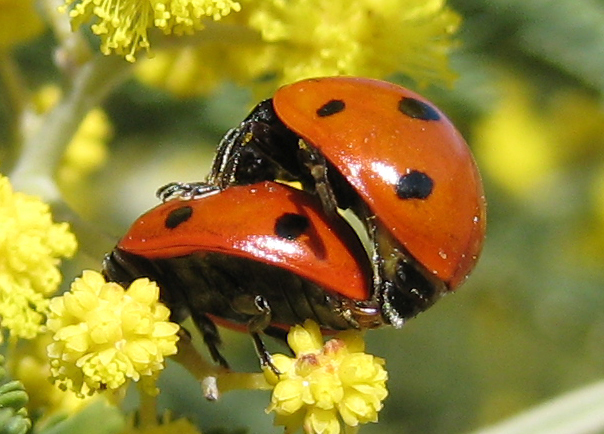 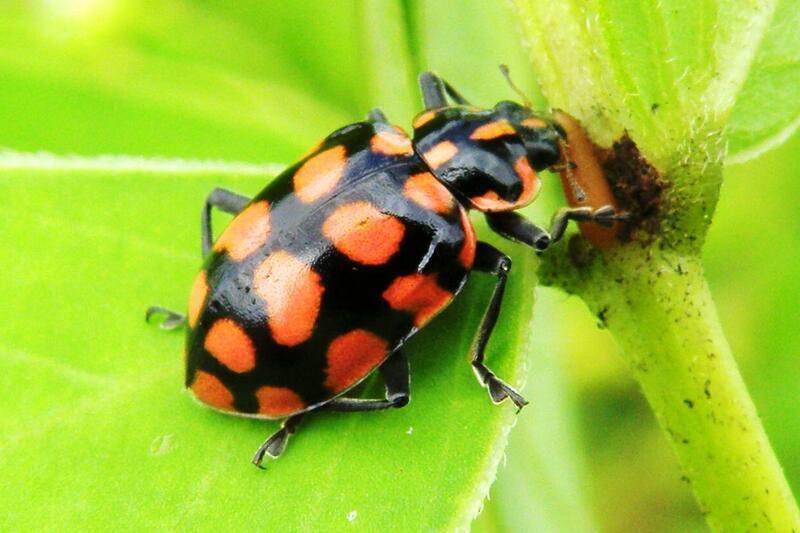 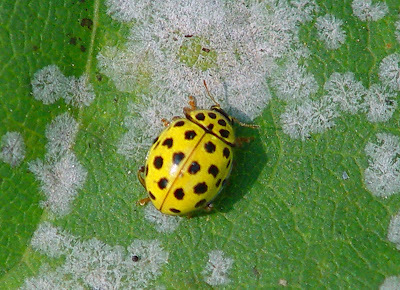 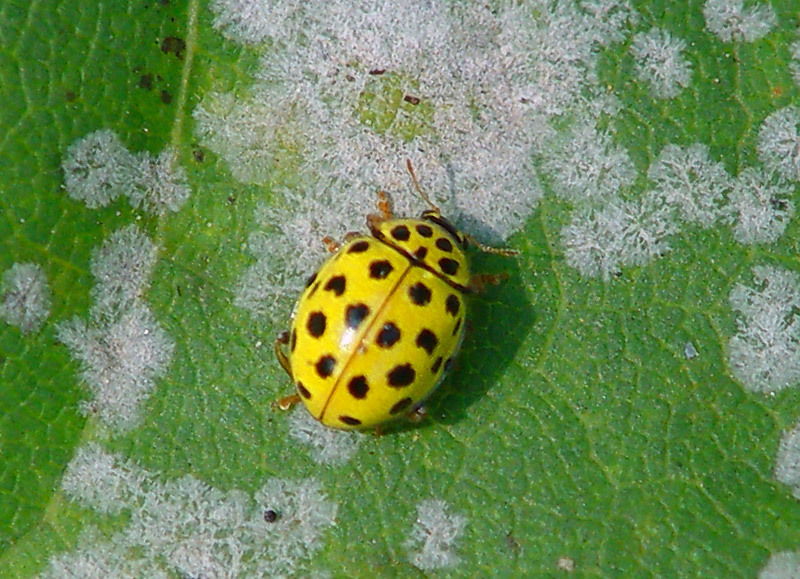 The Coccinellidae are generally considered useful insects, because many species feed on aphids or scale insects, which are pests in gardens, agricultural fields, orchards, and similar places.